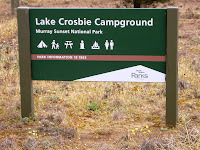 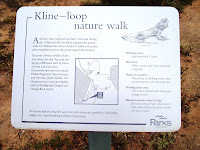 By turning off the Mallee Highway at Linga, 10k West of Underbool and following a good dirt road for about 13k’s, you will come to Murray-Sunset National Park and Lake Crosbie Campground. 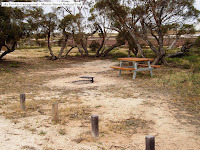 Individual level campsites are provided, each with a table and fire place. 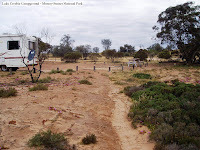 Clean untreated water is on tap near the long drop toilets. 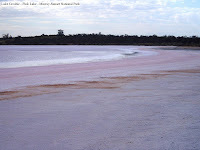 All campsites overlook the “Pink Lake” which is crystal clear but very salty. 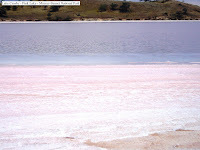 The red algae give the lakes their characteristic pink colouring, especially after rain. 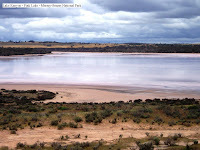 Well worth the detour off the main road to spend a night or two. 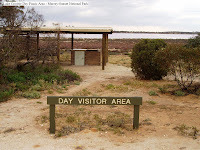 Keep a lookout for Ranger Rob who is informative in relation to the history and interesting facts of the park and surrounding area. 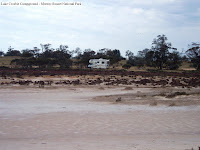 He also ensures that the park amenities and campsites are well maintained.